The day before my dad's birthday, I was busy searching for the perfect gift for him. My dad is really simple and I never thought trying to figure out a gift for him was complicated. Thankfully, I was with Jacob and Angel who helped me decide (along with suggestions from mom via text message). Anyway, what I did not have time for was to think about what I was going to wear for the family dinner at P.F. Chang's. 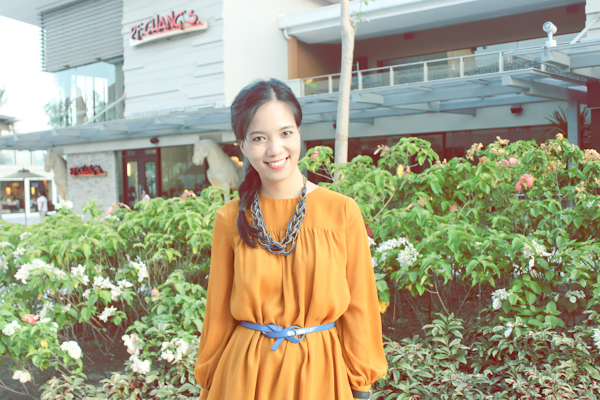 Being that the place was in Alabang Town Center, I wanted to wear something effortless and yet very presentable. Birthdays come only once a year, after all, so it's worth the dress up. 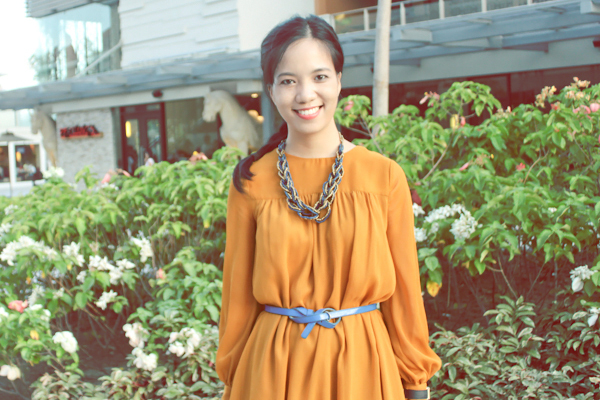 It was just so perfect that I got this dress from Kookie's booth during the Bloggers United 3 Bazaar a few Saturdays back. I knew I was saving it for something special! I'm glad this looked so effortlessly put together. It's just a dress and some light accessories. Tied my belt into a ribbon-like design once again. I really do have a growing obsession for belts (I'll talk more about it next time). Oh, I have great news! Now you can also get a GIFT from them when you purchase $30 or more through their website: Sigma Beauty. Get your fresh supply of amazing beauty supplies and products now. Happy shopping! 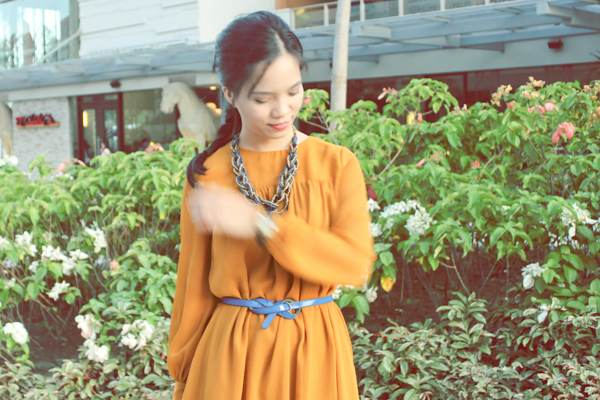 such a cute dress, mustard is such a nice color!